The leaked post-Brexit immigration plans could have a concerning impact upon many industries in Chesterfield and nationally if they are followed through once the UK leaves the EU. 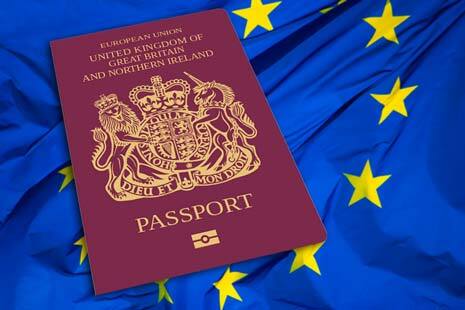 New immigration arrangements are due to be introduced as soon as Brexit has occurred in around March 2019 according to the plans, which would see three phases take place. Stricter requirements could see as reduction in EU nationals coming to work in the UK, affecting many industries. According to plans laid out in the leaked 82-page document, low skilled workers would only be offered residency for a maximum of two years, with those in high-skilled occupations allowed three to five years. Plus, the terms around family members allowed residency will also be tightened to only include partners, children under 18 and adult dependents. Industries are worried about the impact these will have, as low skilled EU workers play an important part in many sectors. The idea seems to be to encourage more British workers to be employed. This means that businesses would have to recruit locally unless they could prove an economic need for employing EU citizens. Various sectors and industries have already spoken out, airing their concerns about the supposed plans. The National Farmers’ Union claimed that the entire food supply chain could be threatened, as the industry relies on a lot of seasonal workers and other low-skilled permanent workers to ensure production is strong. The hospitality sector is another industry that employs a lot of lower skilled individuals for both full, part, temporary and permanent positions. Claims that 60,000 new EU service workers are required to fill vacancies in the hospitality industry will get worse, should stricter rules be introduced. Rather than providing a strong boost, many industry experts are worried that it may have the opposite effect. 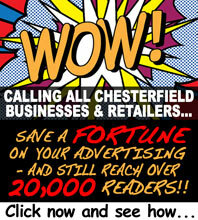 Chesterfield is home to many businesses that fall within some of the aforementioned industries, so the leaked immigration plans will likely affect these and the town’s economy. Businesses therefore need to be aware of their legal rights regarding immigration and employees, especially in the run-up to and aftermath of Brexit. While the entire country will feel any post-Brexit immigration and further effects, every town and city that relies on a lot of EU nationals as workers and residents need to be prepared. The UK won't leave the EU until March 2019, so there is still plenty of time for the plans regarding immigration to change. However, these leaked documents provide a good indication of what is to come and how it may affect industry.